Jesse Saunders (born March 10, 1962 in Chicago, Illinois) is an American DJ, record producer, film producer and entrepreneur. He is one of the pioneers of house music, often cited as "the originator of House music" by critics and historians. His 1984 single, "On & On", co-written with Vince Lawrence, was first record with a house DJ as the artist that was pressed and sold to the public. 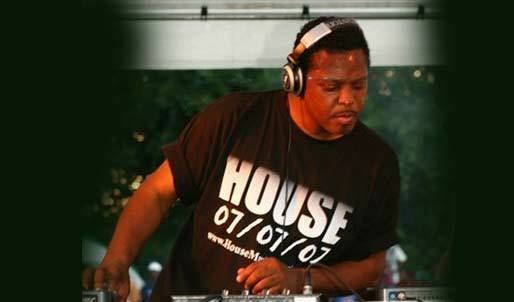 Chicago Mayor Richard M. Daley declared July 17, 1997, as Jesse Saunders and the Pioneers of House Music Day in Chicago. Since his emergence as a DJ almost three decades ago, Saunders has run several of his own independent labels, and worked extensively in music and film production, as well as artist promotion and management. In recent years, through House music reunions, a pending book release and a live 'disc-jocumentary' – where, while DJing, he visually takes the audience through the history of House and Electro – Saunders has worked towards erasing the misconceptions associated with the genre's origins. He is also a long-time member of the National Academy of Recording Arts and Sciences. "The Originator of House Music"
House music first got its start within the walls of Chicago's Warehouse nightclub, thus attaining its name. As the music moved to the wider community, the sound significantly changed and what developed is House music as it eventually came to be known. While one of his biggest influences, and another instrumental figure in the development of House, Frankie Knuckles, confined himself to the gay nightclub scene (primarily that of the Warehouse), Saunders took the unique sounds of the Windy City to the masses. Instead of relying solely on disco and R&B like Knuckles, Saunders expanded his musical repertoire and fused it with the turntable trickery that remains a staple to this day. As a DJ he would accentuate desired moments in songs through loops and repetition, focusing on sections that were stripped down to just the drum or bass – a tradition he would carry on as a producer. Saunders was born and grew up on the south side of Chicago, Illinois in the 1960s and 70s. He attended St. Columbanus for Kindergarten and Reavis Elementary School (until 5th grade) where his mother, Lois M. Saunders, was a teacher. Saunders' mother, a Roosevelt University graduate in Early Childhood Education, was his primary caregiver and a great supporter of his sporting and music pursuits. Jesse then went on to enroll in Shoesmith Elementary School (about 1 mile from Reavis) so that he could get from under his mother's watchful eye and spread his youthful wings. At Shoesmith Jesse was selected for 2 major things that would change his life and eventually lead to him understanding his calling; being a straight "A" student and creatively gifted, he was selected to participate in the "Gifted" Program at Ray Elementary School. In the "Gifted" Program, Jesse learned to program and operate computers at the age of 10 years. He was also selected to perform and tour in the Chicago Children's Choir. Jesse eventually graduated from Charles S. Deneen Public School, then went on to study and graduate at Hyde Park's Kenwood Academy. While at High School, Jesse became a very talented Tennis Player, leading his team to 3 City of Chicago Championships and 1 Runner-Up, earning him the coveted 3 White Letters that he proudly wore around school on his Letterman's Jacket, and instantly making him a popular student. During this time, he was selected by the City of Chicago's "Youth Action" program which groomed exceptional student athletes to turn into professional athletes. During his high school years at Kenwood Academy (formerly Kenwood High School, it became an Academy due to the excellence that the students showed in their prolific test scores and high rate of graduates), Jesse was mentored by his older step brother, DJ Wayne Williams, in the art of DJing. 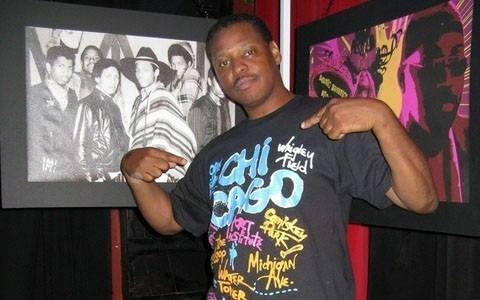 Bringing Jesse into the fold of his Chosen Few Disco Corp. in 1977, the 2 went on to dominate the DJ industry, become a legendary force and produce the Chosen Few House Music Reunion Picnic yearly (since 1991) in Chicago to a crowd of over 30,000! Jesse eventually ended up at the University of Southern California in Los Angeles studying Communications and Film where he got his first taste of "Hollywood." Saunders took an early liking to music, beginning with piano at age five and eventually making his way through every instrument available to him. Amongst his early musical influences were Aretha Franklin, Fleetwood Mac, Smokey Robinson and Earth Wind & Fire. He also became fascinated with sports, displaying his greatest strengths in baseball and tennis, winning multiple city championships with his team in the latter. Saunders was also an honors student, attending the same high school where the likes of Chaka Kahn and R. Kelly also attended. 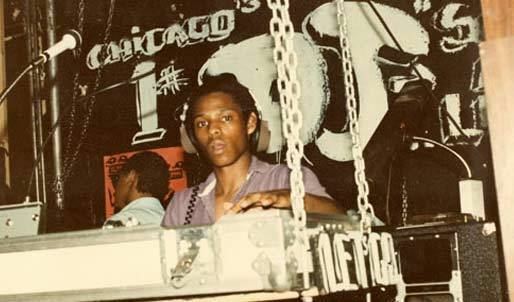 At the age of sixteen, Saunders became exposed to Chicago's night club scene, enthralled by the sounds of Frankie Knuckles and others in the scene. It wasn't long before he became a nightclub headliner, and in 1982, he opened up his own nightclub, the Playground. Attendance figures soon outnumbered those of the Warehouse and Saunders used the opportunity to incorporate his original material into his sets. 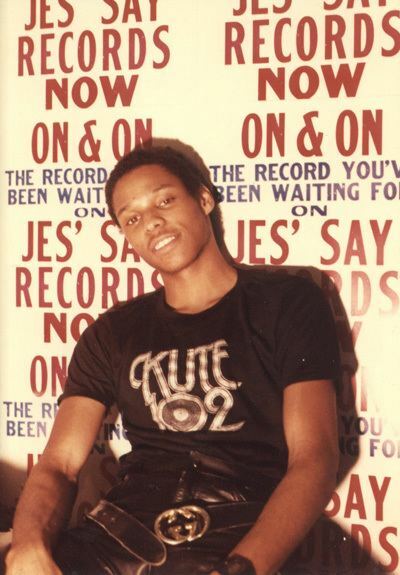 By 1983 he was producing his own music and in early 1984 he released the first official House music record along with Vince Lawrence, "On & On", on the label they made together, Jes Say Records. Saunders composed the track with Lawrence in order to replace a record which had been stolen from Saunders' collection, the "On & On" bootleg disco megamix by Mach (1980). That megamix, a pastiche of loops from several disco records, particularly the bassline from Player One's "Space Invaders" (1979), had been Saunders' "signature" tune as a DJ; it was one that other DJs in the city didn't have or didn't play. Saunders & Lawrence added hypnotic lyrics and electronic instruments, utilizing a Roland TR-808 drum machine as electronic percussion as well as a Korg Poly-61 synthesizer and Roland TB-303 bass synthesizer. "Funk U Up" (the first House track to ever make it onto the Billboard charts), "Real Love", "Love Can't Turn Around" (the song that started the House music revolution in the UK) and "Dum Dum" soon followed. His group, Jesse's Gang was eventually signed to Geffen Records, releasing the album Center of Attraction shortly after, with the single off the album, "I'm Back Again" becoming a top ten club hit. By the late 1980s, Saunders decided to focus all his efforts on writing, producing and remixing instead of DJing. Throughout the 1990s, he made his way back to DJing, touring the world over, as well as trying his hand at producing music for television. His independent label, Broken Records, fully embraced the digital revolution by distributing music solely via the Internet. Since 1991 he has been involved in House Music Reunion Picnic, celebrated every Fourth of July weekend. The event brings together over 100 DJs and attracts upwards of 30,000 people. In 1997 he reunited with the other forefathers of House music to release Chicago Reunion Album. Jesse went on to be featured in hundreds of books including the bestseller "What Kind Of House Party Is This?" by Jonathan Fleming (MixMag) and his own semi-autobiography "House Music...The Real Story", co-written by James Cummins. He has co-starred in over 10 documentaries including the Sun Dance award winning "Modulations," the Channel 4 (London) mini-series "Pump Up The Volume," the BBC audio documentary "The 2nd Summer of Love" and the award winning "Put The Needle on the Record." He has had hundreds of features in every major industry magazine including Rolling Stone, MixMag, Urb and Keyboard. Jesse has lectured at top conferences, schools, colleges and universities throughout the world including The Red Bull Academy, Oxford University, Boston University, The Winter Music Conference (Miami), Popkom (Germany), The New Music Seminar (New York) and the Amsterdam Dance Event (Holland). In 2004 after touring incessantly throughout the world, Saunders revived his Broken Records label. The label releases digital content to the all major download sites and boasts featured artists such as Inaya Day, Scott Langley, Sound Syndicate, Igor Garnier, Didier Vanelli, Mia Calderon, Joe Smooth, Marshall Jefferson and of course Jesse Saunders himself. In 2009, Saunders released the critically acclaimed 25th Anniversary of House Music Album, which resulted in a worldwide tour featuring Art depicting the culture and pioneers of the genre. The tour hit all over the USA and as far as Johannesburg, South Africa. After the successful 25th Anniversary of House Music Tour, Jesse founded the Electronic Music Cafe in Vegas 2010 to display the Art from the Tour. It has turned into a major broadcast network featuring DJs and fine artists interpreting their music. ElectronicMusicCafe.com. He also founded the Music & Arts Society, a non-profit entity for the advancement and preservation of the DJ culture, with the launch of the word's first DJ Culture exhibit entitled "SPIN – Evolution of the DJ", that same year. Mayor Goodman issued a proclamation during the red carpet ceremony for the highly publicized affair for his outstanding contributions to education and the culture of Las Vegas. In that same year Jesse produced and released the first installment of the Above The Sound Cloud compilation series to critical acclaim. He also produced and released the first Chilled & UnBroken compilation series, as well the internationally acclaimed DJ Divas Album. His maternal grandfather, Robert H. Miller, a funeral business owner and founder of the National Funeral Directors and Mortician's Association, was voted "Mayor" of Bronzeville (then the Black section of Chicago) from 1937–1939. He also became heavily involved in the Civil Rights Movement, eventually erecting a statue in honor of Dr. Martin Luther King in Selma, Alabama (commemorating the "March on Selma", in which he walked side by side with Dr. King) promoted the career of legendary gospel singer Mahalia Jackson and owned and operated the Grand Ballroom which showcased artists such as Cab Calloway and Count Basie. Jesse would end up back in Chicago and originate the musical phenomenon known as House Music in 1984. During an ABC TV News interview in 1984 he told Janet Davies that he wanted to be the next Motown (Records). At this time, his label Jes Say Records was distributing records locally and regionally to major record stores with a wholesale price twice as high as Madonna and Prince's releases. Eventually he would sign with Geffen Records and once again moved back to Southern California which would be his home for more than 27 years. Jesse married award winning actress/musician Jazsmin Lewis in 1992. The couple eventually divorced in 1998. He now lives in Las Vegas, Nevada.